The original Dunkin’ Donuts® Mobile App was built to make all your Dunkin’ runs easier. 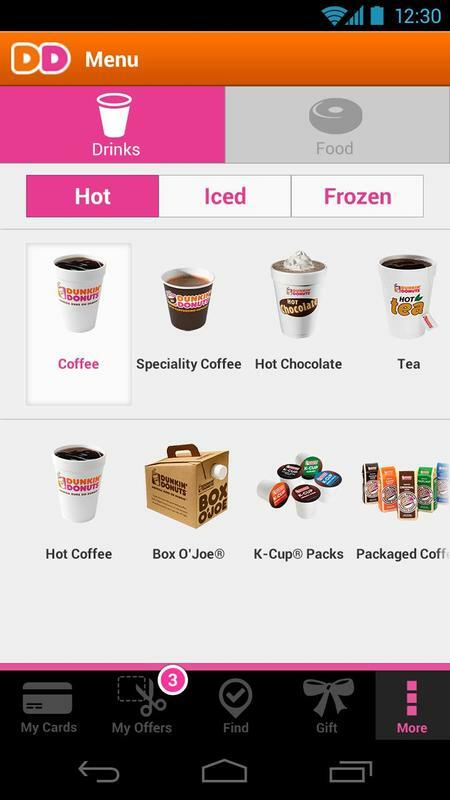 While the Dunkin’ app will continue to provide you with all these great features for a little while longer, be on the lookout for our NEW Dunkin’ Donuts app, including On-the-Go Ordering, which will be available nationwide soon! PAY RIGHT FROM THE APP WITH A VIRTUAL DD™ CARD. 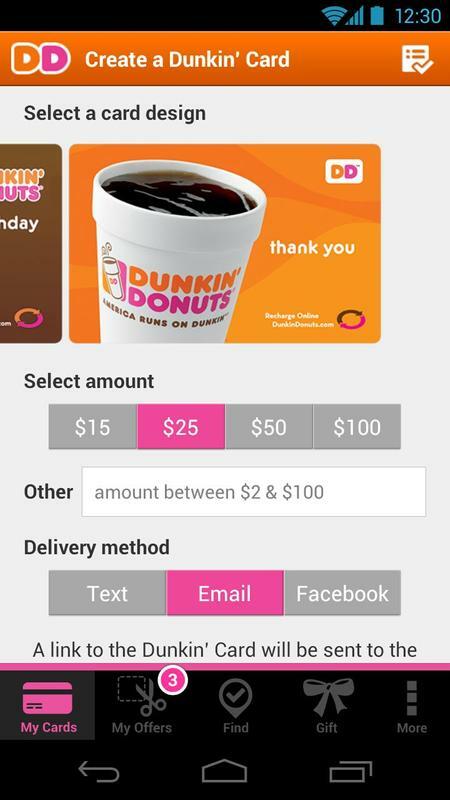 Use the app to pay for all your purchases. 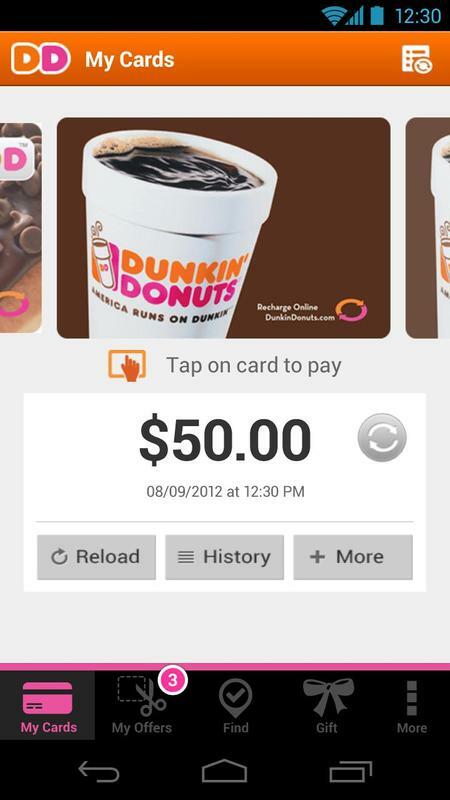 You can either add a plastic card or purchase a virtual card via the app. Simply tap the DD Card you wish to use and present the barcode to the DD crew member to be scanned, and you’re good to go. You can also manage and reload your DD Card right from the app. 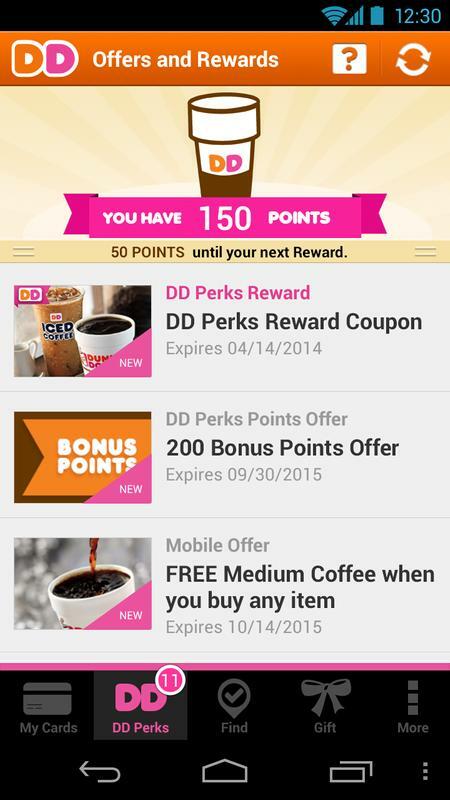 Receive a reward for a free medium beverage for just signing up to the DD Perks Loyalty program. 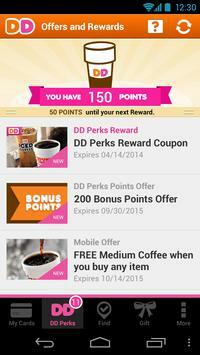 Earn points by paying with your enrolled DD cards and redeem your rewards and offers right from the app. You never know where or when you’ll need to make a Dunkin’ run. So if you find yourself in unfamiliar territory, fire up the store locator to find the nearest Dunkin’ and you’ll be runnin’ in no time. 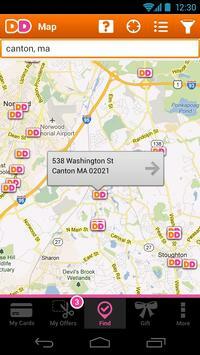 Find products, as well as nutritional information for all your Dunkin’ Donuts favorites. 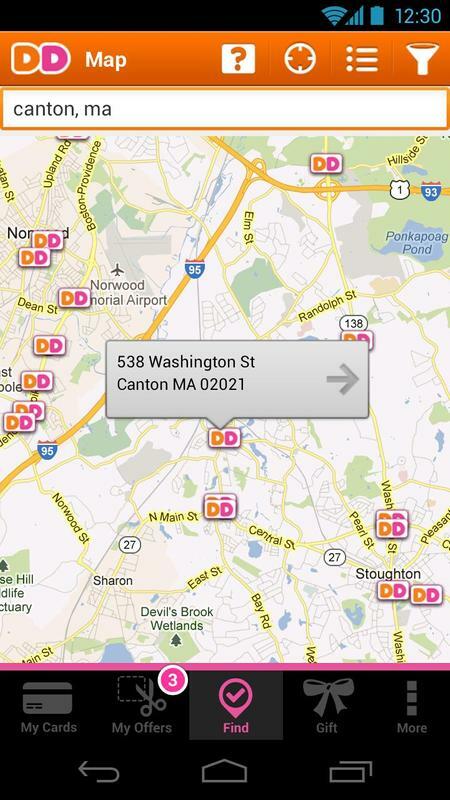 Become a fan or follower and catch all the updates from the official Dunkin’ Facebook and Twitter feeds. 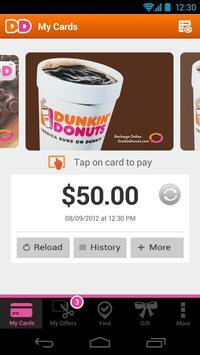 Please note: Mobile payment is only good at participating U.S. Dunkin’ Donuts locations. © 2014 DD IP Holder LLC. All rights reserved. More From Dunkin' Brands, Inc.